As families map out their summer game plan, the Omaha Adventure Savings Pack offers a way to make summer a winner. 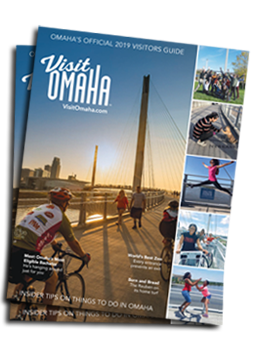 The Omaha Convention and Visitors Bureau (OCVB), in partnership with top Omaha attractions, has created an eight-page coupon book offering visitors and residents more than $50 in exclusive savings. The Omaha Adventure Savings Pack, designed to look like a board game, features pretend money good for discounts at the following Omaha attractions: The Amazing Pizza Machine, Joslyn Art Museum, Lauritzen Gardens, The Durham Museum, Omaha Children&apos;s Museum, Omaha&apos;s Henry Doorly Zoo and Village Pointe Shopping Center. Each coupon is valid for up to 6 people. "For families, summer is always a game of balancing fun with value, this is our way of saying when you play in Omaha you get both," said Dana Markel, OCVB executive director. Fifty thousand families in Kansas City, MO; Des Moines, IA; Sioux Falls, SD and Wichita, KS will receive the savings pack in the mail beginning this weekend. The Omaha Adventure Savings Pack will also be available at participating Omaha attractions and at the Omaha Visitors Center at 10th and Farnam, while supplies last. Visitors are encouraged to enter to win an Omaha Adventure prize package worth more than $500. It includes a two-night stay at the Holiday Inn Downtown Omaha, a $100 Village Pointe gift card, four Amazing Pizza Machine Ticket to Fun passes and family admission to Joslyn Art Museum, Omaha&apos;s Henry Doorly Zoo, Omaha Children&apos;s Museum, The Durham Museum and Lauritzen Gardens. The winning family will be drawn at random on Oct. 5, 2012. For more information on entering or creating your own Omaha Adventure this summer visit www.omahaadventure.com.